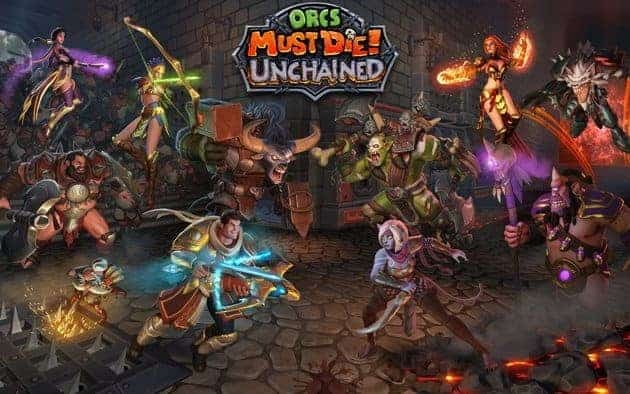 Robot Entertainment and GameForge finally gave Orcs Must Die fans an update on the closed beta for the highly anticipated sequel as Orcs Must Die! Unchained enters a new stage of testing this week, June 27th. The game is currently available to play in an alpha state but this Friday will mark the first opportunity for players to experience the new features for free. If your thirst for orc blood needs quenching before the weekend, there are still a variety of special Founder’s packs available. Ranging from $19.99 for the Apprentice Pack up to $149.99 Masters Pack, players can purchase these special packages prior to launch for a massive array of exciting in-game goodies as well as immediate access to the current alpha testing phase. The closed beta is scheduled to begin this Friday and will see the introduction of a brand new map alongside 3 new playable Heroes, bringing the total list of playable characters to 13. Head on over to the official website to register your interest.